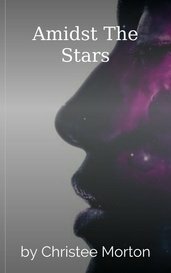 Scifi-Romance books, stories and novels for adults. No one is immune to the power of love. One mistake. One curse. An old enemy. How is one woman to save one of the mightiest beings in the universe? Picked up by a Military Cult after crash landing on a deserted planet and forced to marry their War General to save her life, Amyn has tried to leave her past behind more than once. Grande Winter is breathtaking. He is also a thief. That's what he does for a living with the help of his magic bead. But what happens when he looses his treasure to one of his victims, Dian Pages? Was my decision to disregard my personal needs my own, or was it programmed into my behavior through some conduit of influence? When I asked myself this, I began to see the universe differently. Emma was her name the girl I cant get off my mind I long to hear her voice. James he is so cute but I need to focus on my school work. The past and the future cannot be changed. Right? Adeline has just met the man of her dreams, over telepathy. He's a movie star; she's a nobody. All Adeline wants to know is, will they ever meet? I love your book! Totally love it. You shouldn't quit writing. Maybe you could even try to publish it. Santiel was eating at the dinner table, her mother hadn't spoken a word to her. A story of how she travels through time, to save her beloved..